The Government is assuring the development of India by implanting new projects continuously. Recently, the government has introduced its new projects that will be helpful for the safety for the citizens of India, in addition to this, the ‘Smart Fence’ project will be helpful for the Indian soldiers and army men too. The new project is to be implied on the Indo-Pak border in the Jammu-Kashmir area. And it will be launched by the home minister, Rajnath Singh. 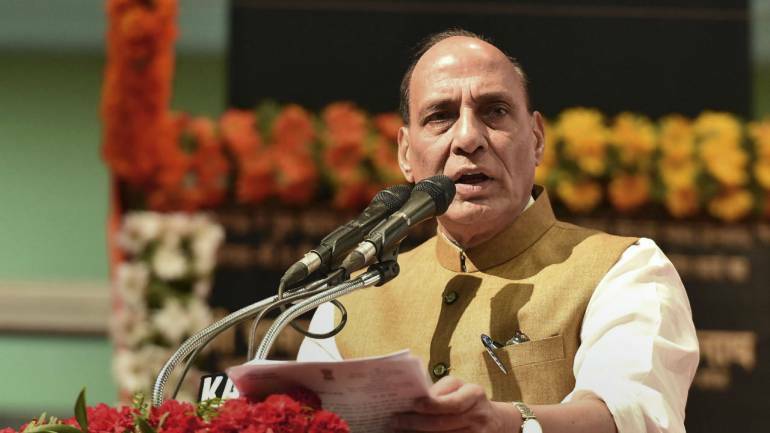 Rajnath Singh is going to travel in the Jammu-Kashmir area to inaugurate the 5-kilometer fence along the Indo-Pak border. The home minister of India will be going on a day long tour. The border will also assure the ban of infiltration and illegal migration by the implementation of the comprehensive integrated border management system (CIBMS). “The technology is being implemented by the Border Security Force and senior officials of the paramilitary will present activation and response mechanism of the ‘smart fence’ before the home minister,” he said. After the success of this project along the Indo-Pak border, the government will move forward in implanting the same ‘smart fence’ project in the future along the border of India and Bangladesh which will be 2,400 kilometers long. “Sensors like thermal imager, underground sensors, fiber optical sensors, radar, and sonar will be mounted on different platforms like an aerostat, tower, and poles as part of the smart fence,” he added. “The ‘laser fence’ and other gadgets have been integrated and a CCTV-like feed will be given to a BSF post so that immediate action can be taken against any intrusion or infiltration attempt,” the official said. “While one of the smart fences has been developed by a Slovenian firm, the second has been developed and deployed by an Indian company,” he said.